How do you travel cheaply in Australia. This will be a challenge, as Australia is vast, a massive country stretching not for hours but thousands of kilometres, these are days spent behind the wheel of your car driving from North to South and East to West. Yes that’s why we love it, no crowds, no traffic, just miles and miles of incredibly beautiful country and some of the most amazing beaches god put on this earth. There is nothing better than sitting by a fire in the outback and having an icy cold beer. 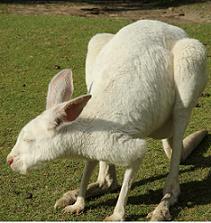 We are here to help you explore Australia and make your dollar go that little further. This will mean something different for everybody who reads this website, it will depend on whether you are single, a couple travelling, or a family off with the kids to find their own adventure in this great land. Adventure travel on a budget, this once meant living out of my car and sleeping on the ground in my swag, my focus was to ensure money went further so I could afford to travel longer and see many and spend time at more interesting rock climbing locations around Australia. At the time I felt I was living very well, I was visiting great locations and doing what I loved. I'd wake up in the morning to these great views of sheer cliffs and the birds starting with a morning song , this was not always pleasant with a hangover, but regardless of hangover or not I was just waiting for another day of hard rock climbing and adventure. To wash we'd go down to the local river or lake for a swim and then head to the pub for a cold beer. Nights would be spent sitting around a raging fire with a great meal od simple food cooking on the hotplate. Yes it was simple but I loved it. All my gear fitted easily into a large bag in the back of the ute and when I got flash I upgraded to a Kombi van, that even had a stove. Yes I got soft and needed a gas cooker for a morning cuppa and the comfort of a dry bed. Life moves on and I now have a family but I still love getting into the outback or visiting one of our amazing coastal regions and to camp on the beach and occasionally I still visit my favourite climbing spots with some mates. I love getting away to these places with my family, however, I must say travelling light with a family, is not going to happen. If you have kids you are going to have a whole pile of equipment to keep everybody happy, fed and comfortable. What does adventure travel mean to me now? it's all about affordable camping adventures, we as a family can go away for extended periods travelling to some amazing places for the cost of food and fuel and the occasional hotel pub fed and cafe lunch. We have spent money on good camping and adventure gear. What does cheap travel mean for you? You need to define this first. Establish your budget and try work your holiday into it. You may even consider a working holiday in Australia, there are loads of jobs for travellers around Australia, I know some people who went home with more money than they started with. Check out the section on working holidays in Australia. You could even start your own travel website and earn money telling other people how to enjoy Australia. Regardless of your budget you will find some very cheap travel options to provide you and your family with an Adventure to remember, you can travel around Australia on a budget cheaply and still have an amazing time and in many cases you may even have a better holiday. We have extensive experience of travelling on a tight budget and it is our aim to explain how to do this, so that your travel budget stretches further. Sign up to our newsletter "Outback Travel Tips" you will find plenty of budget tips and travel secrets plus loads of places to visit. I find travelling to one area and exploring that area makes a family holiday very affordable and often a lot less stressful. Australia is a very, very, very large place, the more locations you want to see the more it's going to cost. Staying in one location also reduces the stress of moving every couple of days, the packing and unloading of cars and trailers can become a pain and take away the enjoyment of your holiday. I like to set up camp and explore one area for a week or a month, it’s a lot more relaxing. The biggest cost for most people travelling is normally fuel and the reality is, its not going to get any cheaper any time soon. Cheap Adventure Travel, Well first you need to get there, to your adventure location, where ever it is you have decided to visit. Travel by plane can be done on a budget, I would seriously consider this option if you are visiting both coasts of Australia and don't want to buy a car or hire a car for several weeks. You can travel across Australia in 5 hours compared to 5 days driving. This option often work’s out better for those on a tight schedule. There are many methods for obtaining cheap flight’s. We list several discount programs that can save you up to as much as 50% off your flights. I believe there are two methods for booking cheap flights, get in really early and lock in the early bird specials or go for the last minute bookings. There are however several options for cheap air-travel and air carriers for those on a budget. Most Australian carriers have a low cost option. There are also some international carriers starting to make a competitive edge in Australia. Check out our Air travel page and find the best deals, you may even find you can package a hotel and vehicle for a bargain. We also try to include some package deals as we find them, as a family it's often cheaper to package the whole deal, we have saved thousands of dollars. Disabled Air Travel – the air travel page also provides links and information, there are also many discounts available for those in a wheelchair. There are also considerations for travelling with a disabled child. The major airlines can be very competitive. We find Qantas to offer the best service for disabled or wheelchair passengers. They are not always the cheapest, but sometimes you require service over price. The classic train trip, Australia has some of the BEST classic train journeys of the modern world. These are also an adventure for those who love train travel. You will find many trips around Australia where you get your ticket and the adventure is free. Train travel is still one of the most relaxing methods of exploring this great country. Imagine sitting down to a restaurant class meal and cold beer or wine all whilst taking in an amazing outback vista. Australia by Bus, this is a very proven method for those on a budget, it's a cheap method for getting to places of interest and backpacker travel tours are normally designed around bus travel. Bus's run all over Australia, you will even find Outback Adventure 4WD bus's (coachs) crossing the Red Center, and the top end. You can visit some amazing places, travel by Adventure bus tour and relax take photos and chat to other travellers. You don’t need to worry about flat tyres or putting up your tent somebody else will do that for you. The outback camper, there are so many places you can visit in a fully customised Camper van. They range from the budget Wicked Campers, which are a great budget solution to the deluxe and there is also a huge range of 4WD campers suitable for visiting places only a 4WD can get too. Campers normally come fully kitted out with all the gear you’ll need to go camping in the outback. Driving, this is the most popular method for travelling around Australia, driving gives you freedom to visit so many amazing places or to stay for longer then you anticipated just because the fishing is great, the beer cold or you like the weather. 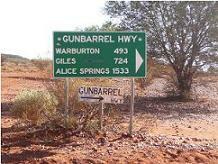 To drive around Australia there are again plenty of choices, depending on how much time you have. If you've only got a couple of weeks and want to drive across Australia from Perth to Melbourne you can Hire a car at one airport and drop it at another airport. I list some of our more competive car rental companies who will do this, We also have some secrets on how to save upto 50% off the advertised price. There are also other cheap methods of hiring cars for as little as $1.00 dollar a day, some companies will even provide free fuel and extras. 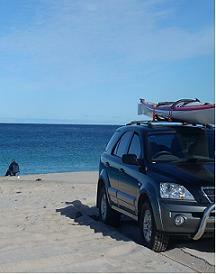 There are also many hire car companies that will hire 4WD vehicles for your outback adventure, many of these places will even Provide all the Recovery and Camping equipment you need at ne extra cost, we have reviewed many of these companies and make further recommendations so that you can get a great deal. Should you want to spend several months travelling around Australia going from one amazing camping / fishing / climbing site to the next, or if whilst you are travelling you support yourself with some casual work it would be wise to buy a car, your own vehicle is the only way to have the freedom you’ll need to travel around Australia for an extended trip, use and sell it when you leave like thousands of other backpackers. You may want to visit our back packer and used car market it's free to list your car or equipment and you just contact the seller directly. Is owning a car the cheapest option? If you buy a lemon or a bomb it will drain your money resources, or if you are trying to sell it in a rush prior to departure you may lose a lot of money, however if you plan the buying and selling process carefully you could even make good money on the deal and you had the use of the vehicle for your stay. Some cars are more valuable in other select states of Australia than they are in their home state. You could make good money if you buy smart, buy well and follow our simple plan. We go into great detail about how to select a car that is suitable and also how to find the experts who can help you. These people can save you thousands of dollars buying or selecting the best car for your money. Buying a car is common practice for travellers trying to travel cheaply around or within Australia, however there are expensive traps, we detail some important information you need to know about registration and licenses and very importantly insurance in Australia. Some other great places to pickup cheap cars with all the equipment you'll need. Australian backpackers or budget hostels there is always somebody trying to sell a vehicle. They are also Great places to meet people who are leaving Australia and learn some of their tips for cheap travel. You need enough time to make your driving adventure worth it, remember Australia is a very big country. It will take you 5 days just to drive from Perth to Melbourne. A very popular travel method in Australia is the commercial work van, many people simply convert them into a budget camper by putting in a false floor and a mattress, you then have a instant camper. However on a long drive they can be a complete pig to drive on the road and there is very little protection if you hit a large animal or another car. The other most popular model for budget travel is the good old Aussie station wagon, you'll find plenty of room sleeping in the back, they are more comfortable to drive and better on fuel but have less room than a van. We have reviewed many models suitable for budget campers and give our best picks and also things to look for when buying a vehicle to ensure you don't buy a lemon. Some model's you can get parts anywhere in Australia and some cars you'll have to leave it on the side of the road if it breaks down, the reason because you'll never get parts in the outback, don't make a huge mistake. It can be a very long walk into town. The vehicles we have reviewed are very affordable, some can be purchased for as little as $500.00 AU yes that is no mistake. We can show you where to buy a car with modest kilometres as apposed to the back backer specials which can be a time bomb as they have already travel around Australia several times a year. We have also include plenty of videos on how to maintain your vehicle so that you don't need someone with mechanical knowledge on board, it helps but with a few basic skills and our bush mechanic guides you can keep things moving on a very tight budget, this alone will save you hundreds of dollars. The fuel budget?, if you have any good ideas here I'm open to them, we can give you a few tips but the cost of fuel is difficult to get around. The only tip I have here for fuel economy is buying the correct vehicle and travelling in a light vehicle (packlight), well maintained with good tyres at the correct pressure. Also drive like your Grandma at the speed limit and steady it really does save fuel. There are people who are always looking for passengers to help with the costs of fuel. If your staying in a backpackers put up a notice on the notice board. These places are full of budget travellers looking for passengers. Talk to people there is always somebody looking to share the cost of travel. It's also a great place for your adds for when you buy a car and want to share the road less travelled. Another new concept in Australia is to hire a vehicle from the person living in the next street just because they are not using it for some time. It's a great idea and there are some great savings. You may even want to list your car if your not using it, earn income instead having the car sit in the garage. Don't do it, Australia is just to big. It's hot and dry. Buy a car and enjoy your trip, save the mountain biking for the hills. Do you really want to be passed by three trailer long road trains all day, not a very nice experience feeling like your being sucked into the wheels and that’s only the first trailer. That that said, it's still a great way to get around outback Australia. You will however need time and patience. Sitting on the side of the road waiting for a lift can be very frustrating. I would advise you that it's not worth the effort near large cities on the Eastern Coast of Australia . Unless of course you are a good looking Girl, Thats just the facts. Then again If you are a good looking girl there is also the odd nutter to deal with, risk verses reward. Its different in the outback, even the nutters are generally good blokes with no ill intent. I find nearer to cities there are more problems and a few more predators just read the papers. It may be wise to send a text with the time and rego to a friend. The n let the person know you did that. When I was younger I would hitch around when I needed to. I had with mixed results, sometimes I have sat waiting for a lift for some time and at other time I was given a lift straight away. It pays to look clean cut and neat and very visible. You will not get a lift if you look like a shifty bugger who just stepped out of prison. I have also picked up a lot of people hitching. I find it a great way to meet interesting people and share the driving, having another person in the car helps you stay alert on the long boring legs between places. I have also picked up some people I did not trust and who were just not right. In some case's I've kicked them out of my car as they were as high as a kite and angry and happy all in the space of a 15minute conversation. You need to be careful when hitch hiking and also picking up hitchhikers. 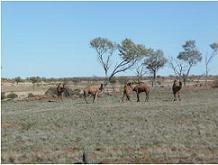 Your Outback Australian Adventure Travel starts with an idea just go for it, your a long time dead.